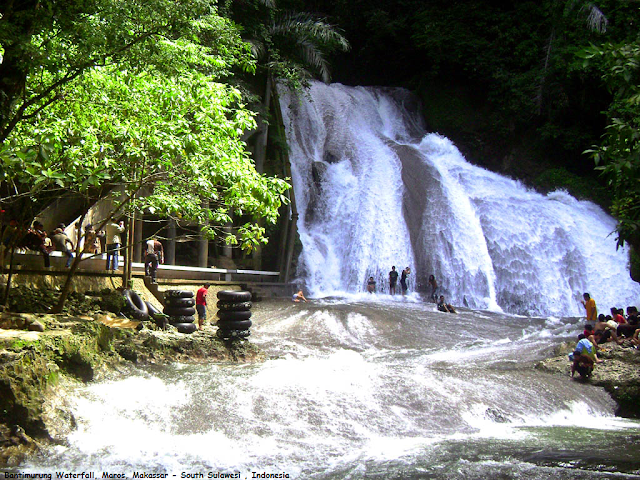 Bantimurung waterfall is a very popular tourism destination in South Sulawesi. It is about 15 meter high, has clear and cool water, and also has really strong stream too. Below the waterfall, there’s limestone base which is used as bathing place. This limestone is solid hard and has been covered by mineral layers for hundreds of years. In the left side of the waterfall, there are 2 caves, named Mimpi cave and Batu cave. To get into the cave, there’s 10 m high stairway made from concrete that you can use. From Hasanudin airport, the waterfall is less than 20 km and 50 km from Makassar city. If you’re from airport, you can take public transportation (pete-pete), or mikrolet, which only need 30 minutes.